We LOVE to go to the beach/lake. It is our favorite Summer activity. Over the years, we have figured out what really works for us product wise and I am going to share our favorites. ONE. A beach wagon. We bought ours from Costco, but they have the same one on Amazon. We use this to bring all of our things to our spot. And if you have ever been to Tahoe, you know how sandy the beaches are. This thing pulls right through it without any issue. My parents have one they use for camping for the girls and it is super durable. It can even pull the girls in it. TWO. Jumbo towels. My in-laws got the girls beach towels from Pottery Barn Kids a couple years ago and these things are amazing. They are super big and soft (32 inch by 64 inches). We use them for us and for them. THREE. Toddler Life Jacket. We bought these life jackets for the girls last year and they have gotten so much use out of them. My co-worker recommended them to me and they have not disappointed. They are Coast Guard approved, so your kids can wear them in boats, etc. FOUR. Our SPF 100 Umbrella. 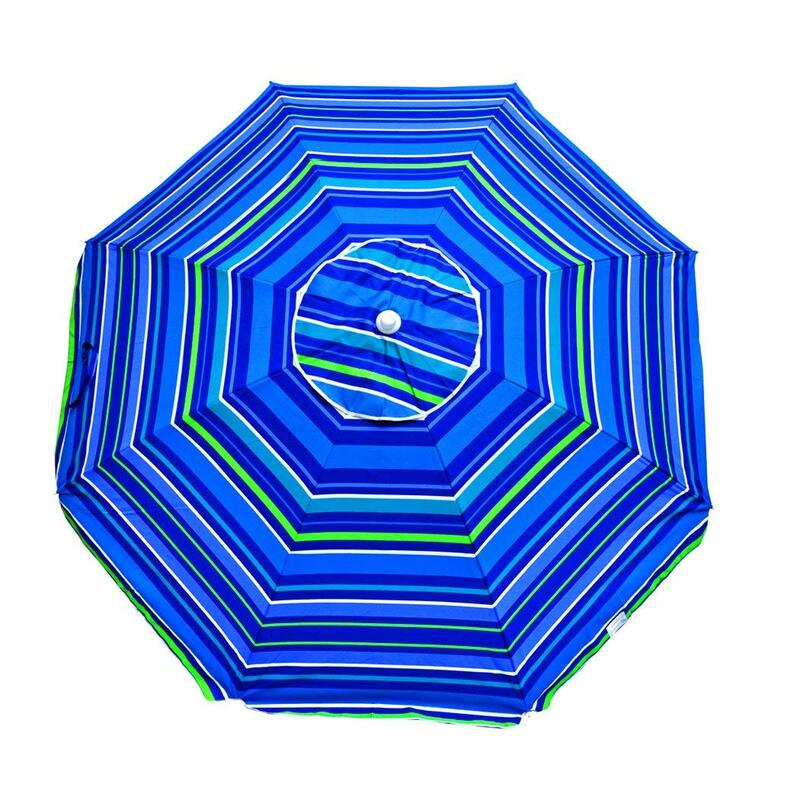 Many years ago, I bought a beach umbrella because it gets soooo hot at the beach. Years later (seriously at least 8 years later), it still works. It is big enough to fit two beach chairs, our cooler, and some towels under. This keeps the sun off the girls and keeps us cool. FIVE. Another amazing purchase was our beach chairs. We have the Tommy Bahama beach chairs that you always see at Costco. These chairs are the best. They have backpack straps on them for easily carrying, they have a drink holder, a storage compartment by the head in the back, a pillow and they lay out if you want. They also have adjustable setting for how far you want to lay back. What are your favorite beach products? 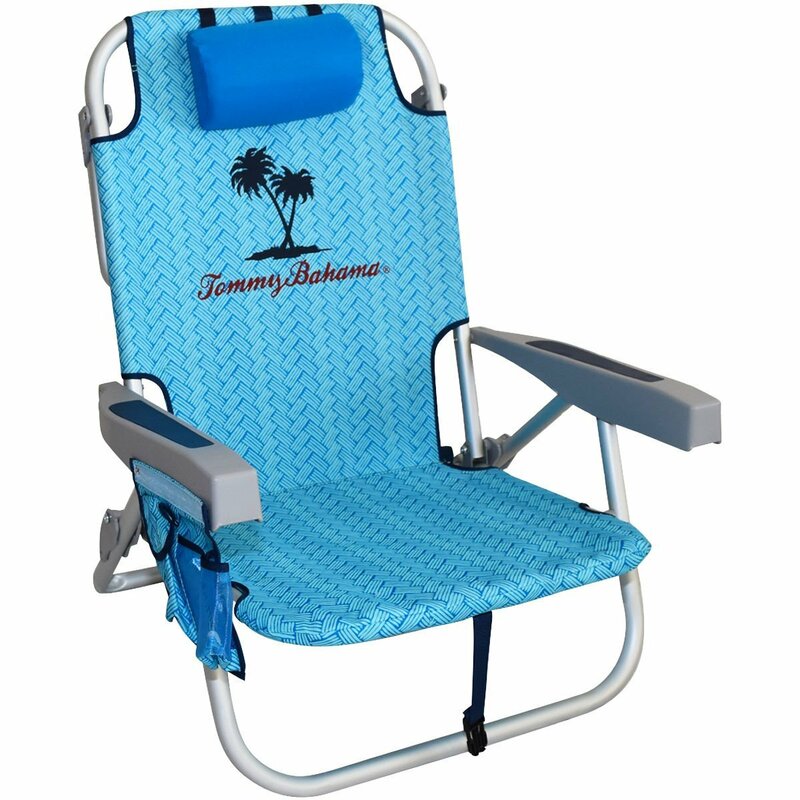 We need a beach wagon and just love our Tommy Bahama chairs..the best. Have a GREAT Birthday eve! We LOVE our beach wagon. It was worth every single penny! Yes it is. You can use it for more than just the beach. Oh my gosh, that beach wagon. WHY have we never invested in one?! That would make our lives so much easier every time we visit the beaches or state parks here. Luckily we have a great stroller with storage, but this would be even smarter! I don't know how we lived without one!!! We love that option too. I love that beach wagon. I have used it for photo shoots & mostly, we use it for dogs. When our dog with bone cancer couldnt walk any longer, we took her on rides in that. & we take our little blind dog to the park in it now. May need the umbrella for our florida trip! We have a different wagon right now that Zoe rides in that has seats with seatbelts, but when she gets older that will be the one we switch too. Gotta have a wagon to load all the stuff! I was hoping she was going to be able to wear those puddle jumpers this year, but she was underweight so we have to wait until next year to use ours. I dont know why anyone would chose anything else? Totally need to check out those towels! I love a good beach towel. We have one of those too. We have the Radio Flyer wagon which has seats. We also have this one now since it folds up soooo easily and compactly. We had to wait until this year to use them as well. They are finally big enough for them. Glad to know the wagon rolls right through the sand. We thought about buying one before our last beach trip, but we were worried that with all of our crap in it that it would just drag in the sand instead of rolling. Now I am craving a beach trip!! Those Tommy Bahama chairs are the BEST! We scored 2 from Costco when we moved to Hawaii 6 years ago and it's safe to say that they are STILL in the best shape and we use them nearly every weekend. Such a good value for the price! The puddle jumpers were a fave for us, Simon got a ton of use out of his! They are amazing. We love them and it has helped the girls learn how to swim. 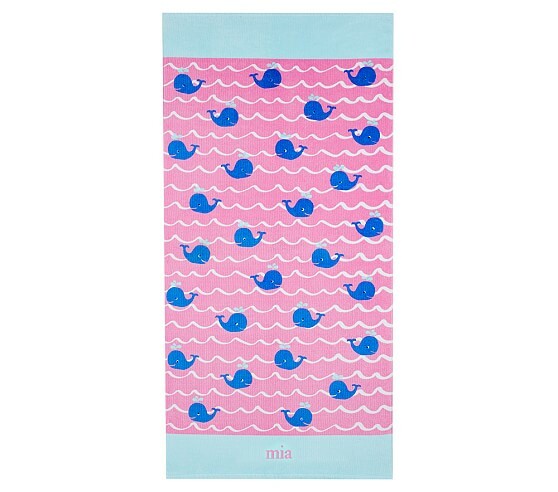 The bigger the beach towel the better. We love PBK's version so much. 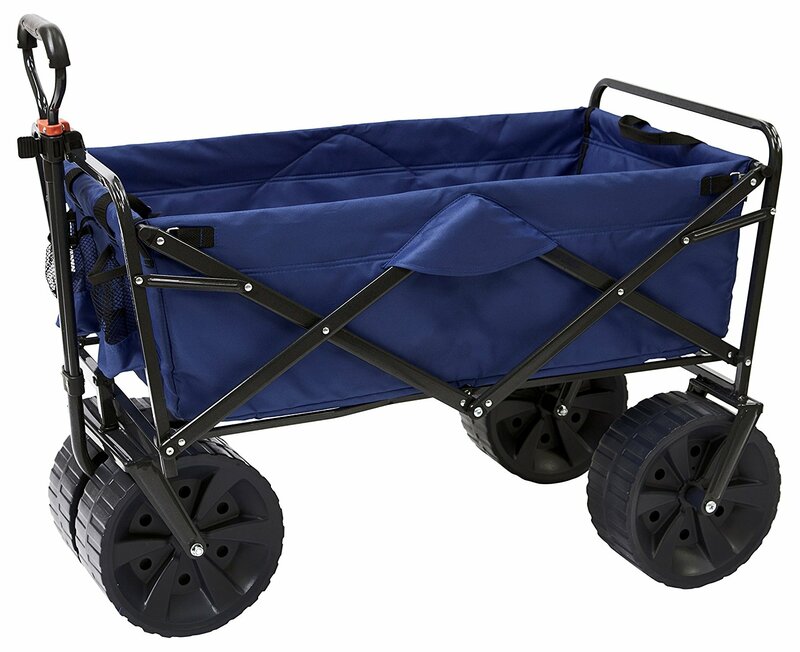 A beach wagon is a definite must! It makes life so much easier for sure. That beach chair looks amazing!